Journal of Liaquat University of Medical & Health Sciences. 2011; 10(3): 100-101. Journal of Liaquat University of Medical & Health Sciences. 2010; 9(3): 112-113.
International Journal of Current Research and Review. 2013; 5(2): 20-26. Rawal Medical Journal. 2016; 41(2): 219-221. Do Electronic Health Records Standards Help Implementing Patient Bill of Rights in Hospitals? Acta Informatica Medica. 2013; 21(1): 20-22. Acta Informatica Medica. 2013; 21(3): 176-179. Journal of Liaquat University of Medical & Health Sciences. 2008; 7(2): 110-114. Razia Mustafa Abbasi, Pushpa Sirichand. Journal of Liaquat University of Medical & Health Sciences. 2004; 3(2): 56-59. Acta Informatica Medica. 2015; 23(2): 76-80. Materia Socio Medica. 2016; 28(1): 26-31. Acta Informatica Medica. 2016; 24(2): 107-110. Pakistan Armed Forces Medical Journal. 2015; 65(6): 851-852. Razia Mustafa Abbasi, Firdous Mumtaz, Razia Mughal. 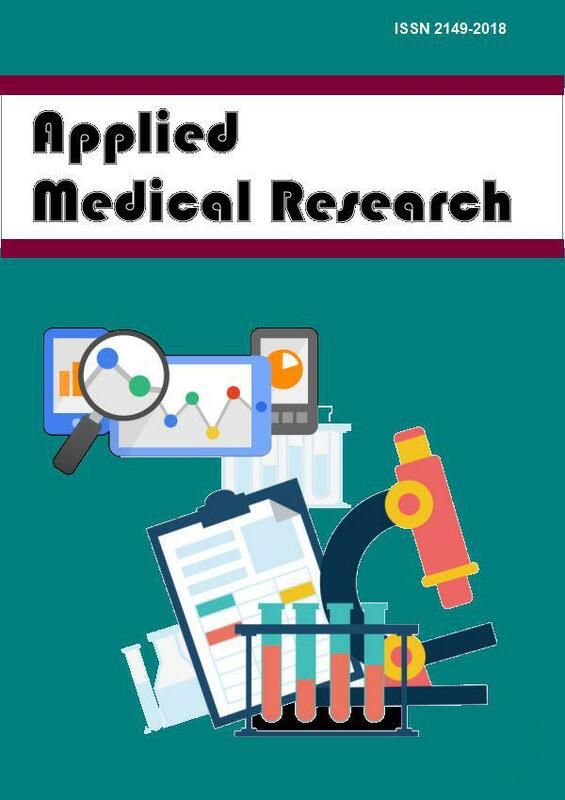 Journal of Liaquat University of Medical & Health Sciences. 2002; 1(1): 15-18.
International Journal of Basic & Clinical Pharmacology. 2016; 5(5): 2114-2117.
International Surgery Journal. 2016; 3(1): 158-161. Biomedical Research and Therapy. 2017; 4(5): 1327-1340.
International Journal of Contemporary Pediatrics. 2014; 1(2): 120-121. Journal of Applied Pharmaceutical Science. 2014; 4(9): 114-119. Role of laparoscopy in blunt abdominal trauma. Rawal Medical Journal. 2013; 38(1): 40-43. Bowel preparation before X-Ray intravenous urography: Is it necessary? Rawal Medical Journal. 2015; 40(2): 174-176. Symptoms of benign prostatic hyperplasia:Does prostate size matter ? Rawal Medical Journal. 2015; 40(3): 286-289. Journal of Advanced Veterinary and Animal Research. 2016; 3(4): 399-405. The Journal of Neurobehavioral Sciences. 2016; 3(1): 29-31. Rawal Medical Journal. 2016; 41(3): 351-354. Gaziantep Medical Journal. 2014; 20(2): 186-189. Vibriosis phytotherapy: A review on the most important world medicinal plants effective on Vibrio spp. Journal of Applied Pharmaceutical Science. 2018; 8(1): 170-177.
International Journal for Agro Veterinary and Medical Sciences. 2012; 6(6): 473-479.